Places of Fancy: Where Is Raccoon City in 'Resident Evil'? Where Is Raccoon City in 'Resident Evil'? Halloween is near, and what better way to observe the occasion than profile a hellish, haunted city: Raccoon. Raccoon City is ground zero in a utopia for zombies and other ghastly abominations. It is located somewhere in the American Midwest. It also lies all in your head, specifically the Resident Evil series of survival video games. North America has several places named Raccoon. Their fictional namesake could not be more unique though. The city of Raccoon is controlled by a puppet government of a multinational pharmaceutical that covertly traffics in bio-weaponry: Pfizer Umbrella Corporation. Once home to a hundred thousand (or nearly a million according to the Resident Evil movies), Raccoon City lies at the foot of the Arklay Mountains, where the Aimes, Circular and Marble rivers met. Fictional history has it that in the late 1990s, the mountains were the site of some terrifying sightings and cannibalistic incidents. Shortly thereafter, a virus broke out throughout Raccoon and a 20-mile radius around it, threatening a pandemic (a possibility explored at length in the Resident Evil movies). The virus was widely rumored, but publicly acknowledged neither by Umbrella nor the federal government, to originate from the corporation's testing facility in Arklay. If Rapid City's initials and syllables do not ring a bell, then you might as well be sick in the head from Umbrella's meds. This town only has 40,000 people short of Raccoon's, if anything. Situated at the slopes of the Black Hills, Rapid City is the most likely stopover en route to and from Mount Rushmore. Trust yourself: An Umbrella testing facility may well be flourishing behind those famous faces as we speak. And the fact that Mt. 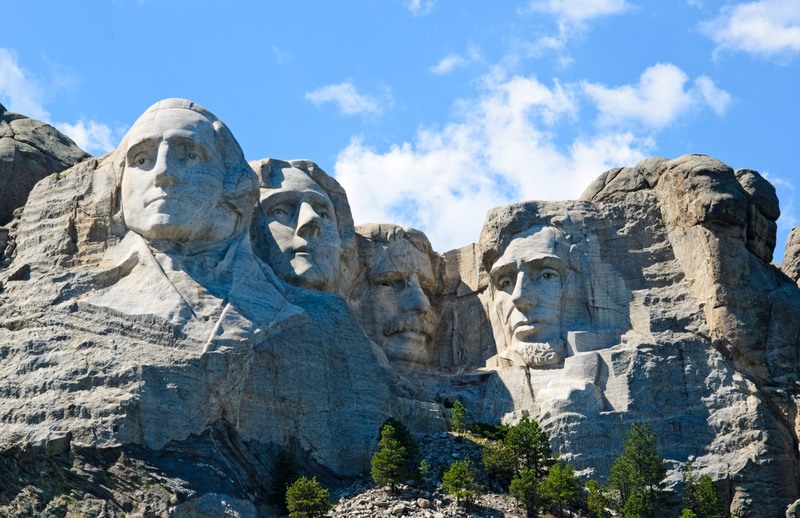 Rushmore is a national monument protected by the US government? Genius, Umbrella. Springfield, Missouri could also be Raccoon City in disguise. A city of 150,000, Springfield is located at the foothills of the Ozark Mountains. This mountain town primarily draws tourists to its Fantastic Caverns, a subterranean complex of caves that you can ride through. Umbrella's Hive is likely to set up shop here. Now just sprinkle a few zombie walks in either of these cities, and you have Raccoon City come to life. want to join a zombie walk near indiana. anyone know?